How many times has your husband asked you where his charger is? If you don’t know, then one of you is digging through a drawer of cords hoping to find an extra one that fits his phone. It’s frustrating and eats up valuable time that you don’t have. Save time and energy by storing your chargers in a DIY leather charging cord organizer. The adjustable leather cord holds your charging cords and wall adapters to keep everything organized in one place. It makes traveling easier because you can grab it and go, confident that you have what you need. 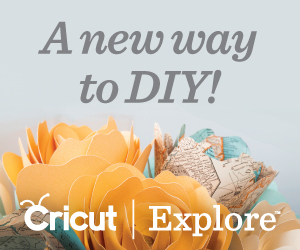 Additionally, it is so easy to make that it is a perfect DIY gift! Trim a piece of scrap leather into a rectangle. It can be any size you like but I recommend no smaller than 12 inches by 5 inches. You can be a precise as you would like but don’t feel like you have to be. Having some irregularities adds a more rustic touch to your organizer. Punch a hole in the center edge of the right side of your rectangle. A traditional paper punch may not be strong enough to do this. I used my Crop-A-Dile Big Bite and had no problem. A leather punch would also work well. Fold your leather in half lengthwise and cut notches every two inches with your scissors. Make sure that you have an odd number of notches that are large enough to thread your leather cording through. Unfold your leather and thread your cording through. Start by threading the cord through your punched hole and next continue weaving back and forth through the notches. Only leave enough of the leather cording through the punched hole to secure it to your organizer. The excess cording should be at the opposite end. Push your brad through the punched hole with the prongs coming through the inside of your organizer. Fold out the prongs over the cording to secure them. Place a few stitches through your organizer and cording end at the brad to secure the cording thoroughly. You don’t want it pulling out when you tighten the cord around your chargers. Cut a small square of leather out of a piece that you trimmed off in step 1. Center the leather square over the cording and brad on the inside of your organizer. Secure the leather square into place by sewing a whipstitch around the edges. For a cleaner look, do not stitch all of the way through your organizer. Instead thread about halfway into your organizer leather and pull back up through your leather square. This is so that your stitches are not visible on the outside of your organizer. Lastly, add your charging cords and adapters and tighten your cording. Roll up your DIY leather charging cord organizer and wrap the excess cording around the outside to secure. This is such an easy and inexpensive way to organize all of your chargers in one place. You can change the look to fit your style by using a different color of leather for your organizer or cording. A DIY leather charging cord organizer is also a perfect DIY gift for the guys in your life. It is handsome and practical to delight even the most difficult men to shop for. If you want to make one for everyone on your gift list, opt for buying a yard of leather instead of using a scrap piece. 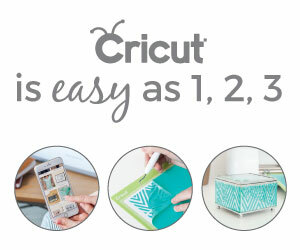 Then you can cut all of your organizers at once and have enough to make them in bulk! I’d love to hear who you would make yours for. Let me know in the comments!